• Reduce job site clutter by removing cumbersome control cables. • Eliminate unnecessary movement of personnel across the worksite. •Eliminate the need to drag control cables around the site. 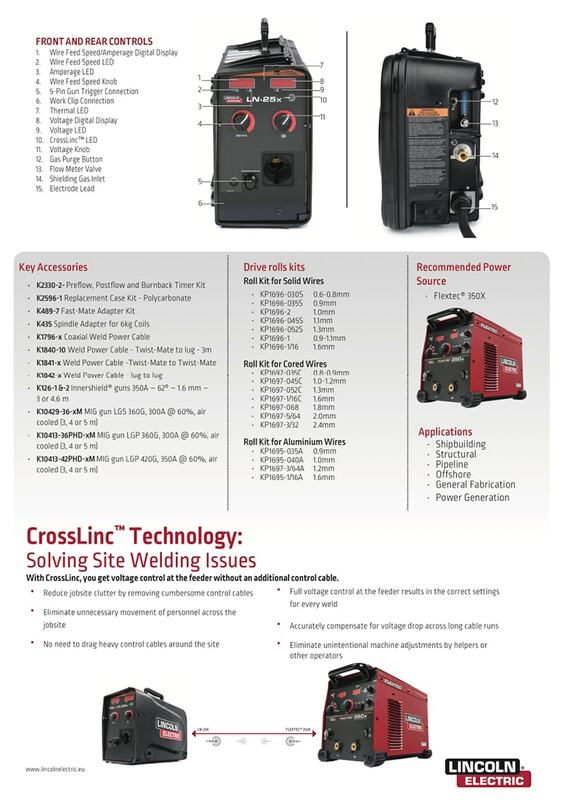 •Full voltage control at the feeder results in the correct settings for every weld. • Accurately compensate for voltage drop across long cable runs. 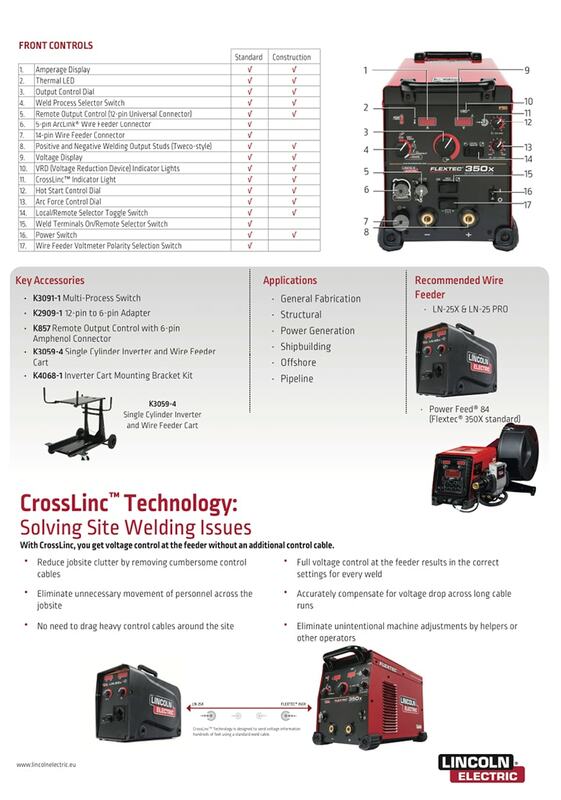 • Eliminate unintentional machine adjustments. • Set up faster with fewer cable connections. • Eliminate helpers or trips to the power source when making setting adjustments. • Minimize rework with easy settings adjustment. • Fully encapsulated and environmentally protected electronics. • Replaceable flame-resistant case can be installed in under five minutes. 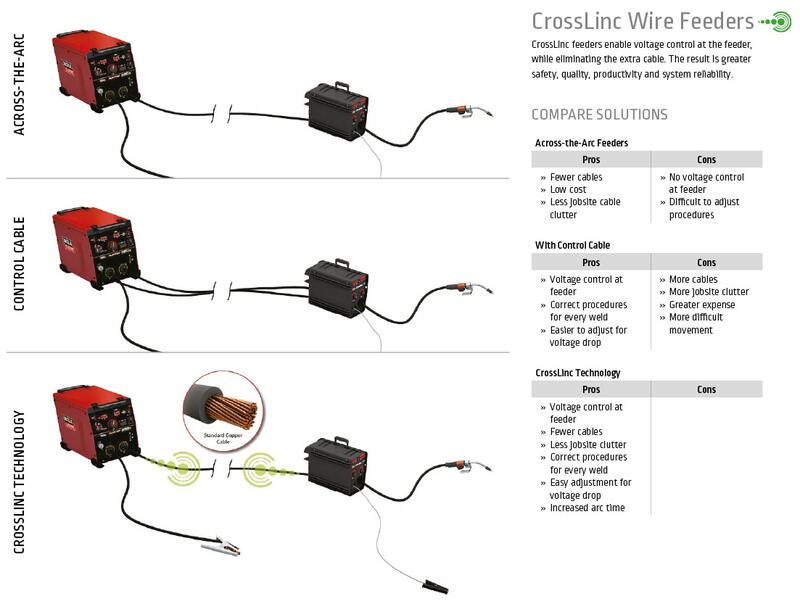 “X” = CrossLincTM : you get voltage control at the feeder without an additional control cable. • Plug in to any 380-600V 3 phase power. • Compatible with across-the-arc, analog, digital or CrossLinc™ feedersd. 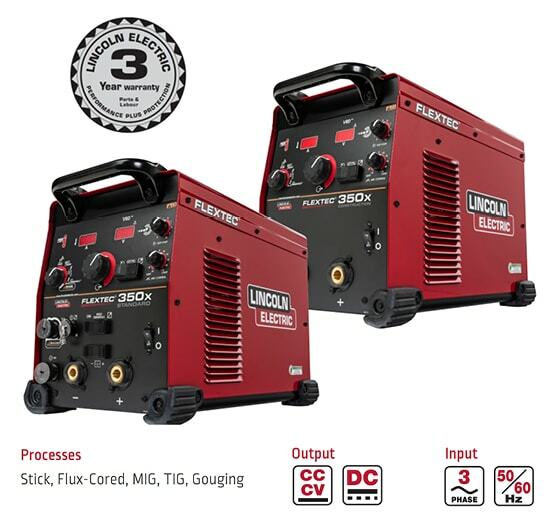 • Premium multi-process arc characteristics work with all DC wire, stick and TIG processes. 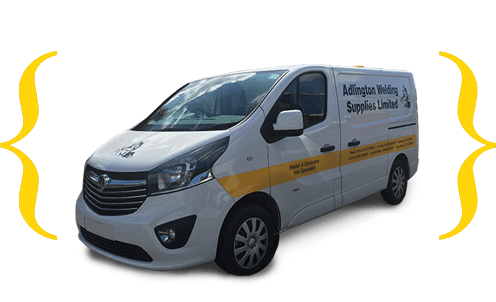 • Choice of models to fit any application and budget. 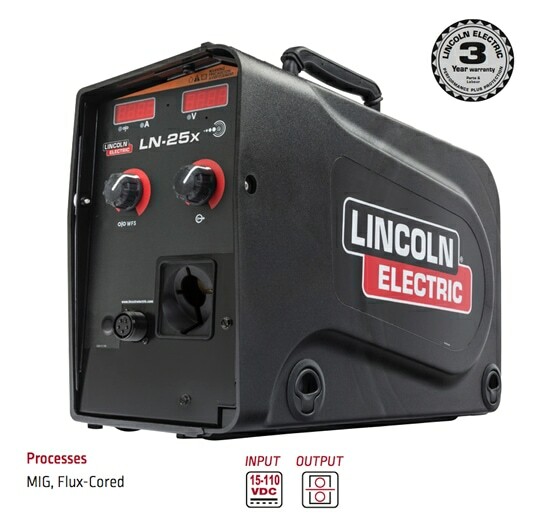 • Built on industry proven design elements of other popular Lincoln Electric welders. • Components designed to run cool for long life in high temperature environments.